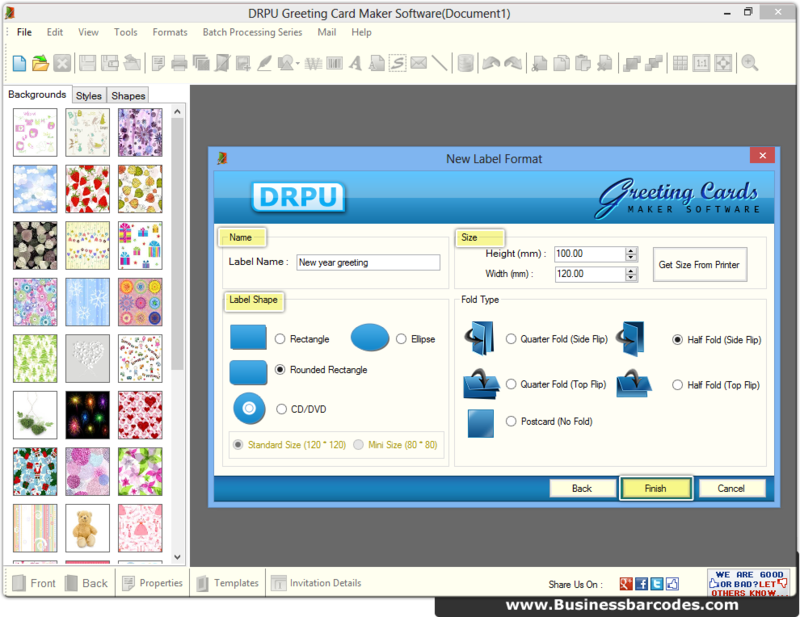 Select one of the above option to start designing greeting card using New label Format. 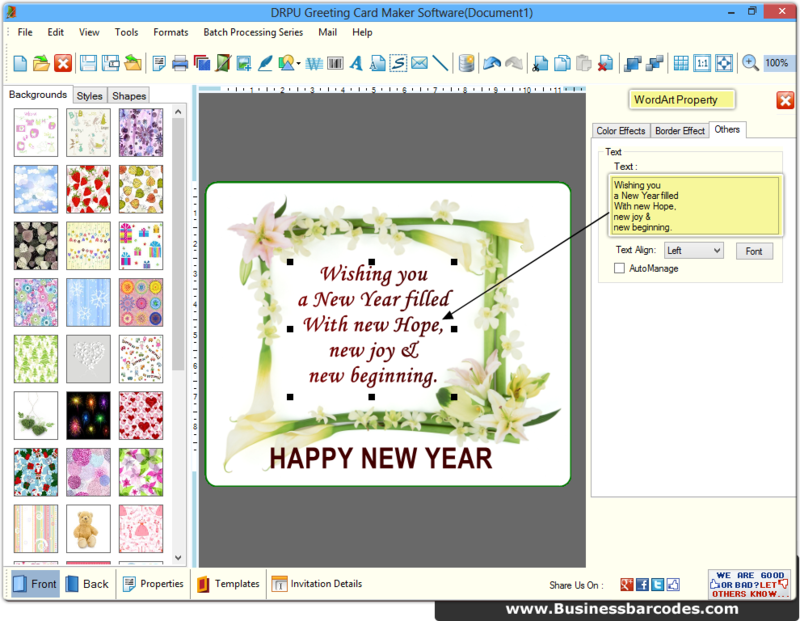 Specify Greeting card name, size, shape and type of folds then proceed to next screen. 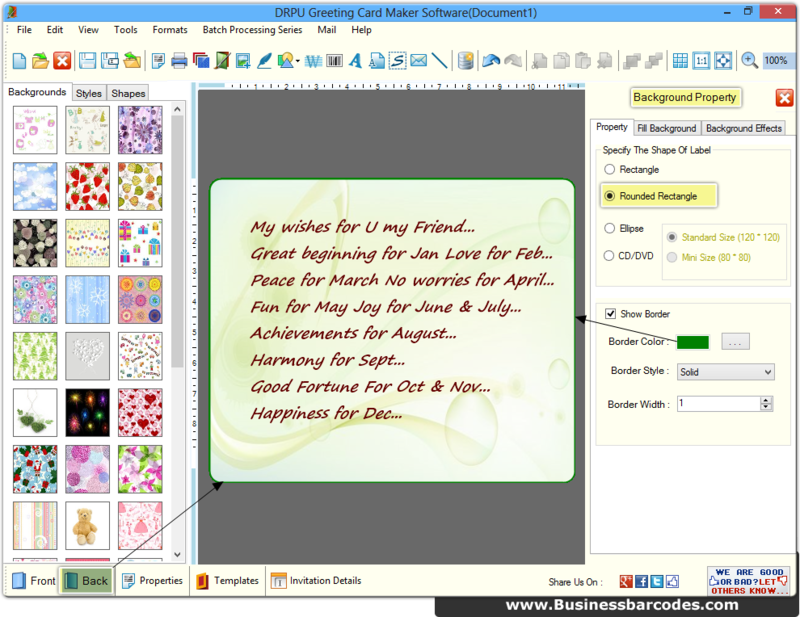 Add text using Word Art properties from tool bar. Add background from left panel and make alteration in its properties including shape, border etc.